Embark on an unforgettable social adventure in an ever expanding world. Set in a wonderland above the clouds, Sky invites you and your friends to fly up to explore the buried mysteries together and rebuild a fallen kingdom for its ancient inhabitants. Using your courage and compassion, players must connect as a community to share and build on their flame to spread light back into the world. We welcome you report any issues so we can work hard to resolve it. Say hello to one of our biggest updates to date. We have changes to nearly every level and aspect of the game you have seen and more. While we are sure a lot of these changes will be welcome, we are sure some will be quite jarring, and others may not work as intended. As always, we appreciate your understanding and honest feedback. We cannot wait to hear what you think about everything coming to the whimsical world of Sky. - This Adventure Pass season brings a whole new cast of characters to celebrate gratitude. With them comes new quests, emotes, and of course cosmetics. - With this season comes the addition of Gratitude Shrines, playfully hidden around the world. Upon finding these shrines, you will be given the opportunity to express gratitude for things in your life, and view the expressions of gratitude left by other players. - In addition to all of this, you can now purchase the Adventure Pass for your friends as yet another way to express your gratitude. 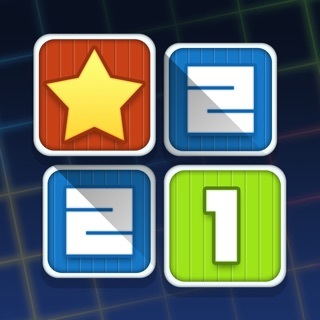 - All levels have new visual and level flow improvements. - The Aviary and Home levels have been merged into a single space where you can access levels, view friend candles, change cosmetics, review progress, and connect with friends. - There is now a greater emphasis on the constellations, each tied to a different area of the game. These constellations show your progress in those areas and will grant you additional emotes and cosmetics as you unlock them. - Constellations Gates are magical barriers that can only be bypassed when you have unlocked enough of its constellation. So be sure to return to older areas to see if you have unlocked enough to access new areas. - Massive changes have come to the way you control your character, including how your character takes flight with their Wing Power. - Tapping to fly will now boost your character up into the air rather than just slowly lift. You can do this multiple times to access higher or more secret locations. - You must rely more on gliding when you are not out over clouds. - You gain Wing Power by finding Wing Buffs around the world, rather than completing the game. - You can switch between multiple controller modes in the Options & Settings menu. - There will be a one and two-handed control option available in the menu. Try out both and see what resonates with you the most. We know these changes are going to be jarring for a lot of our seasoned players, so please share your thoughts in the Beta FaceBook group. - A lot of work has gone into improving the overall performance of the game. We removed or trimmed files, cleaned up code, and did a lot of cleaning under the hood. We suspect there will still be some issues, but that is why we will need your help to report them to us. - Reminder that existing profiles will appear without a Cape. Be sure to play through the new Isle to restore your Cape. - Many of the cutscenes are still being worked on. Expect some to appear unfinished or even broken. - Like most graphically intensive games, Sky will often run pretty hot. If you device begins to get too warm, we encourage you to give it a break. See the full patch notes in the FAQs in-game. I’m absolutely in love with everything about this game, great way to pass the time that’s for sure. The graphics, sound design, concept etc. I’ve spent so long on Sky already and I only got it a few days ago, it’s insane. Although I will say the default controls are really not the nicest, but you can work around it a little by tapping the top left corner of the screen and access settings where you can give a reasonably minor change to the controls. I wanted to point out when I get to the forest section the game tends to bug out... A LOT. The whole screen freezes up although I can still move and hear the music, there isn’t much point to it seeing as I can’t tell what I’m doing due to the screen lock up. It even sometimes bugs out completely and ends up just closing the app. I have taken into account this may be my iPad seeing as it isn’t a new design but my two friends who play this also say they’ve had trouble with this. Generally speaking though I adore this game and will continue to play it! Really enjoy this game. Great time waster lol. Been playing since Feb with all the new updates. Some not so great updates and some really awesome ones. Waiting for Eye of Eden to open. Really want the new stuff. Hope there is a black cape out there for me. If your the type that doesn’t like be alone there are alot of people who play who would gladly be your friend. Just remember to trade candles. Dont be a cheap skate. Trading candles gets you hearts which you can buy stuff with. The game is also similar to Journey. This game is also good for solo players. Only thing i dont like is the multiple server switching. You will be with your friend/s and next thing, your alone. Takes a couple of minutes for you and them to pop up again. Other annoying thing is the game crashes. Not alot. Just enough lol. Other than that, the game is awesome. Graphics are mint!